September 29, 2009: Planning a trip to Mars? Take plenty of shielding. According to sensors on NASA’s ACE (Advanced Composition Explorer) spacecraft, galactic cosmic rays have just hit a Space Age high. "In 2009, cosmic ray intensities have increased 19% beyond anything we’ve seen in the past 50 years," says Richard Mewaldt of Caltech. "The increase is significant, and it could mean we need to re-think how much radiation shielding astronauts take with them on deep-space missions." Graphic: Energetic iron nuclei counted by the Cosmic Ray Isotope Spectrometer on NASA’s ACE spacecraft reveal that cosmic ray levels have jumped 19% above the previous Space Age high. The cause of the surge is solar minimum, a deep lull in solar activity that began around 2007 and continues today. Researchers have long known that cosmic rays go up when solar activity goes down. Right now solar activity is as weak as it has been in modern times, setting the stage for what Mewaldt calls "a perfect storm of cosmic rays." "We’re experiencing the deepest solar minimum in nearly a century," says Dean Pesnell of the Goddard Space Flight Center, "so it is no surprise that cosmic rays are at record levels for the Space Age." Galactic cosmic rays come from outside the solar system. They are subatomic particles–mainly protons but also some heavy nuclei–accelerated to almost light speed by distant supernova explosions. 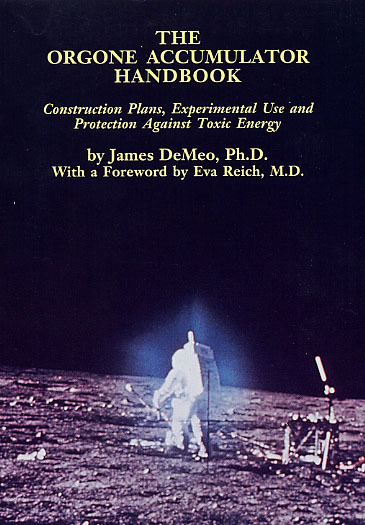 Cosmic rays cause "air showers" of secondary particles when they hit Earth’s atmosphere; they pose a health hazard to astronauts; and a single cosmic ray can disable a satellite if it hits an unlucky integrated circuit. The sun’s magnetic field is our first line of defense against these highly-charged, energetic particles. The entire solar system from Mercury to Pluto and beyond is surrounded by a bubble of magnetism called "the heliosphere." It springs from the sun’s inner magnetic dynamo and is inflated to gargantuan proportions by the solar wind. When a cosmic ray tries to enter the solar system, it must fight through the heliosphere’s outer layers; and if it makes it inside, there is a thicket of magnetic fields waiting to scatter and deflect the intruder. "At times of low solar activity, this natural shielding is weakened, and more cosmic rays are able to reach the inner solar system," explains Pesnell. Go to the orignal article link for the rest of it. "Figures can lie, and liars can figure.."
TOP SECRET! “Global Warming Takes a Break” Shhh! TOP SECRET! "the Earth has not warmed for nearly a decade and that we are likely entering one or even two decades during which temperatures cool." One of the Top Dogs in the UN IPCC’s "Climate Change" division, a top policy-wonk for "Global Warming" hysteria, breaks ranks and blurts out the truth. Welcome to the club, Prof. Latif, but what took you so long? CO2 continues to rise, mostly likely due to upwelling from deep ocean currents rich in CO2, but temps are declining globally, following trends in solar variation. But why wasn’t this a top headline in all the mainstream newspapers? Why not the lead story for all the mainstream alphabet-soup TV-News talking-heads? If you need an answer to those questions, then you haven’t been paying attention. Imagine if Pope Benedict gave a speech saying the Catholic Church has had it wrong all these centuries; there is no reason priests shouldn’t marry. That might generate the odd headline, no? When a leading proponent for one point of view suddenly starts batting for the other side, it’s usually newsworthy. So why was a speech last week by Mojib Latif of Germany’s Leibniz Institute not give more prominence? Prof. Latif is one of the leading climate modellers in the world. He is the recipient of several international climate-study prizes and a lead author for the United Nations’ Intergovernmental Panel on Climate Change (IPCC). He has contributed significantly to the IPCC’s last two five-year reports that have stated unequivocally that man-made greenhouse emissions are causing the planet to warm dangerously. Yet last week in Geneva, at the UN’s World Climate Conference — an annual gathering of the so-called "scientific consensus" on man-made climate change — Prof. Latif conceded the Earth has not warmed for nearly a decade and that we are likely entering "one or even two decades during which temperatures cool." The global warming theory has been based all along on the idea that the Atlantic and Pacific Oceans would absorb much of the greenhouse warming caused by a rise in man-made carbon dioxide, then they would let off that heat and warm the atmosphere and the land. But as Prof. Latif pointed out, the Atlantic, and particularly the North Atlantic, has been cooling instead. And it looks set to continue a cooling phase for 10 to 20 more years. "How much?" he wondered before the assembled delegates. "The jury is still out." But it is increasingly clear that global warming is on hiatus for the time being. And that is not what the UN, the alarmist scientists or environmentalists predicted. For the past dozen years, since the Kyoto accords were signed in 1997, it has been beaten into our heads with the force and repetition of the rowing drum on a slave galley that the Earth is warming and will continue to warm rapidly through this century until we reach deadly temperatures around 2100. While they deny it now, the facts to the contrary are staring them in the face: None of the alarmist drummers ever predicted anything like a 30-year pause in their apocalyptic scenario. Read the rest at the above weblink. Charlie Perry, a research hydrologist with the U.S. Geological Survey in Lawrence, sifts through graphs of data in explaining why he believes solar activity may have greater impacts on global temperatures than previously thought. The average person may not associate coolness with the sun. The sun releases energy through deep nuclear fusion reactions in its core and has surface temperatures as hot as 10,000 degrees Fahrenheit, according to NASA’s Web site. But the sun’s recent activity, or lack thereof, may be linked to the pleasant summer temperatures the midwest has enjoyed this year, said Charlie Perry, a research hydrologist with the U.S. Geological Survey in Lawrence. The sun is at a low point of a deep solar minimum in which there are little to no sunspots on its surface. In July through August, 51 consecutive days passed without a spot, one day short of tying the record of 52 days from the early 1900s. As of Sept. 15, the current solar minimum ranks third all-time in the amount of spotless days with 717 since 2004. There have been 206 spotless days in 2009, which is 14th all-time. But there are still more than 100 days left in the year, and Perry expects that number to climb. Perry, who studies sunspots and solar activity in his spare time, received an undergraduate degree in physics at Kansas State University and a Ph.D in physics and astronomy at The University of Kansas. He also has spent time as a meteorologist. A sunspot, Perry explains, is a location on the sun’s surface that is cooler than the surrounding area. When there are more sunspots, the sun’s surface becomes more dynamic and an opposite effect takes place, releasing more heat and energy when other parts of the sun become hotter. A solar minimum is when the amount of spots on the sun is at a low and the reverse is true for a solar maximum. The complete solar cycle is about an 11-year process. Perry says the current solar minimum could continue into 2010. "There’s a fair chance it will be a cooler winter than last year," Perry said. Perry said there is a feeling from some in the scientific community the Earth may be entering into a grand minimum, which is an extended period with low numbers of sunspots that creates cooler temperatures. The year without a summer, which was 1816, was during a grand minimum in 1800 to 1830 when Europe became cooler, Perry said. Another grand minimum was in 1903 to 1913. Perry said there is anecdotal evidence the Earth’s temperature may be slightly decreasing, but local weather patterns are much more affected by the jet stream than solar activity. However, Perry said snow in Buenos Aires and southern Africa, the best ski season in Australia and a cooler Arctic region are some of the anecdotal evidence for a cooling period. So, Perry said, sunspots may have a far greater impact on weather than previously thought. Read the whole chilling article. There was a time when advocating the inheritance of acquired characteristics would get you fired from your job in any university biology department. Today, it seems vindicated, at least in some small measure. The importance of this is staggering, but not developed in the article below. Basically it means, "genes" can be altered by the environment. They are not immutable. And this therefore makes the whole calculus of genetic determinism subject to environmental uncertainties.. or certainties. It also opens up the door to non-genetic mechanisms of heredity, such as bioenergetic phenomenon. Paul Kammerer was an early experimenter in this area, and one of the teachers of Wilhelm Reich at the University of Vienna. He was accused of fraud, but rejected the accusations which created an immense scandal, and committed suicide. The writer Arthur Koestler wrote an excellent but nearly-forgotten book on this subject years ago — "The Case of the Midwife Toad" — which gathers evidence that it was possibly one of Kammerer’s admiring students who did so, misguided that it would help reinforce his already abundant evidence on this subject. Today there is indeed all kinds of laboratory evidence that the genes and DNA are not perpetuated in splendid isolation within their protective wrappers of the cell nucleus, but that they jump around, copy from messenger RNA, and otherwise react to environmental changes with patterned development. It gets to the point where the older strictly Darwinian natural selection, with genetic changes only by random mutations triggered by unpredictable events like cosmic rays and such, has been largely abandoned except in textbook definitions. 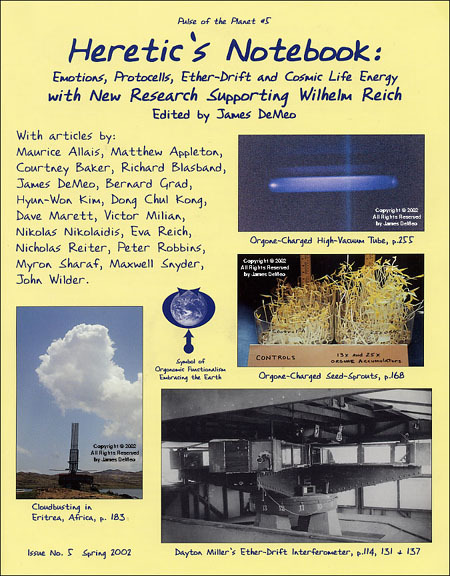 Kammerer’s own book "The Inheritance of Acquired Characteristics" and that of Koestler, should be required reading for biology students, along with Wilhelm Reich, Louis Kervran, Robert O. Becker, Fritz Popp, Rupert Sheldrake, Frank Brown, Harold Burr, Bjorn Nordenstrom,and other radical naturalists. Hello to them, goodbye to Watson and Crick. J.D. Before Charles Darwin, there was Jean-Baptiste Lamarck, the French naturalist who proposed that an organism could pass to its offspring characteristics that it acquired during its lifetime. The classic example is the idea that giraffes got their long necks by gradually stretching them over successive generations in response to the need to reach food high in the trees. Darwin’s theory-which held, in contrast, that giraffes with the longest necks were more likely to survive and reproduce-eventually won out, though Lamarckism persisted well into the 20th century (particularly in the Soviet Union, where it was revived as Lysenkoism). One proponent of Lamarckism in the 1920s was Austrian biologist Paul Kammerer, who undertook a series of experiments on amphibians, including the midwife toad. 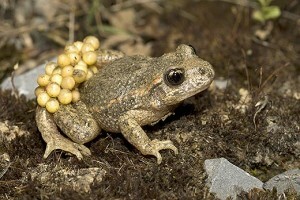 These toads are special because they copulate on land and then the male keeps the eggs out of the water by carrying them around, on land, stuck to his own legs. By placing the toads in an arid, hot environment, Kammerer induced the toads to mate in the water. Under these conditions, the toads simply deposited the eggs into the water-the male did not carry them-and only a few hatched into tadpoles. But later generations who grew up under normal conditions preferred to copulate in the water, and some males developed a trait called “nuptial pads” on their forelimbs (black spots that are used for gripping females and are common on water-dwelling toads). Kammerer believed that this was evidence that Larmarckian evolution was real. Go to the original link for the rest of the article. More Cooling… Anecdote?… or Pattern? NOAA: Summer Temperature Below Average for U.S.
*For the 2009 summer, the average temperature of 71.7 degrees F was 0.4 degree F below the 20th Century average. The 2008 average summer temperature was 72.7 degrees F.
*A recurring upper level trough held the June-August temperatures down in the central states, where Michigan experienced its fifth, Wisconsin, Minnesota, and South Dakota their seventh, Nebraska its eighth, and Iowa its ninth coolest summer. By contrast, Florida had its fourth warmest summer, while Washington and Texas experienced their eighth and ninth warmest, respectively. *The Michigan, Wisconsin, Iowa and Minnesota region experienced its sixth coolest summer on record. Only the Northwest averaged above normal temperatures. RANGELEY, Maine – Viewed from the roof of the Wilhelm Reich Museum, the Rangeley Lakes melt into the sky along an infinite horizon. A blueberry field slopes downhill from this modern stone building with its multilevel rooftop terraces. The interview may require a paid subscription or log-in, but should become free within a month or two of the posting. There also is a DVD version available for purchase, and a free downloadable transcript. Swine Flu Fascism. Take the Poison, Or Else! It seems the federal sickness bureaucracy is planning, with cooperation from state sickness bureaucracies, to make the "swine flu" H1N1 vaccine mandatory, in some cases with jail time and thousands in fines if you dare to refuse. Already, the most "liberal health-reform minded" state in the USA, Massachusetts, has passed such laws, indicating the Royal Oligarchy expects Their Subjects to do as they are told. Egads, where did all those old tough Yankee traders go, the ones who stood up to the British Crown, sailed the world, volunteered to give their lives to stamp out black slavery, who gallantly fought against fascism in Europe only one or two generations ago, but whose descendants today so willingly line up to accept the slave’s yolk upon their necks! This kind of information, about jail-time and arm-twisting by Federal and State bullies is part of the reason why many people are so vocal and steamed-up at the Obama-care Town Hall meetings. There are many “do as you are told, or else” clauses found scattered throughout the proposed “health-reform” (read: medical fascism) initiatives. With one hand they will give out the medical lolly-pop, and with the other hand, take away freedom and quite a lot of the National Treasure. But of course these aspects typically do not get reported in the MSM reports focusing upon “disruptive behavior” only. http://www.globalresearch.ca/index.php?context=va&aid=14899 VIDEO; Compulsory Vaccination in America? Meanwhile, quite a few medical professionals know something is rotten, and have openly stated, they are skeptical and will not take the toxic shots themselves, and are warning off family and friends. Also there are plans to force people who develop flu symptoms deemed "swinish" to be forcibly relocated, to unnamed detention facilities. All for an "official malady" which has not created anything near the kind of "mass death" everyone in mainstream medicine and biology have been warning about. Remember how they did this with "AIDS"? That it would "wipe out Africa" and "kill half the population"? So far, the pace of deaths from "ordinary" pneumonia and seasonal flu are a hundred to a thousand times greater than from this so-called "pandemic" declared by the CDC and WHO. Well, you saw this with "AIDS" also and were warned that "medical fascism" is not some wild exaggeration or "conspiracy theory". 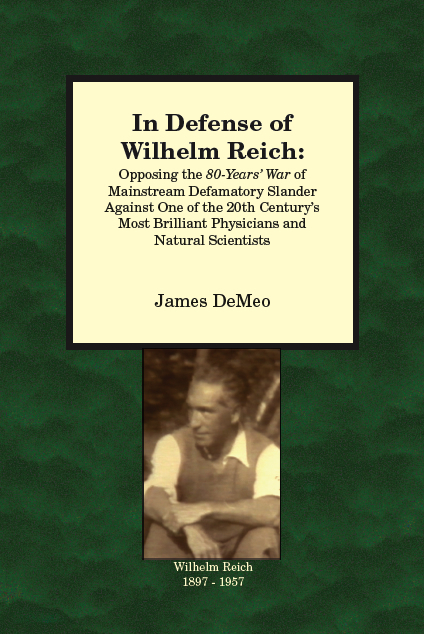 Just remember what happened to Wilhelm Reich, for daring to cure people with life-energetic methods. Go back and read my article on this, written more than 15 years ago… it is still true, or even more so today. Be aware, the history of epidemic disease shows, sick people deported off to confinement camps have the lowest survival rates among all affected populations. During the early 1918 influenza outbreak, which followed upon the terrible disaster of WW-I that devastated so many people’s lives all by itself, military camps were often used to forcibly house symptomatic people, where death rates could soar to 80%. Some of the intense toxicity blamed on "flu microbes", as claimed from those early epidemics, certainly was partly due to the emotional havoc and devastation of the war itself, plus the harsh treatments and severe emotional destruction of people’s lives caused by forced relocation and incarceration, and whatever toxic medicines were typical of the time. And they use the 1918 flu epidemic as a model and cause as to "why" people should be rough-handled today with respect to "swine" flu. For some historical comparisons, read up on the Pellagra Epidemic of the early 1900s. Thought by doctors to be a communicable disease caused by microbes, thousands of Americans from poor areas of the rural South, where most of the cases were found, were subjected to all kinds of experimental treatments, or no treatment at all. Approximately 100,000 died over the full period of the epidemic, which ran from around 1908 to 1940. Half were black Americans, and 2/3rds were women, and nearly all were poor share-crop farmers. Pellagra yields symptoms typical of a mild chronic flu, accompanied by skin lesions and gastric problems, so the people afflicted look pretty bad, and tend to get shunned like leppers. 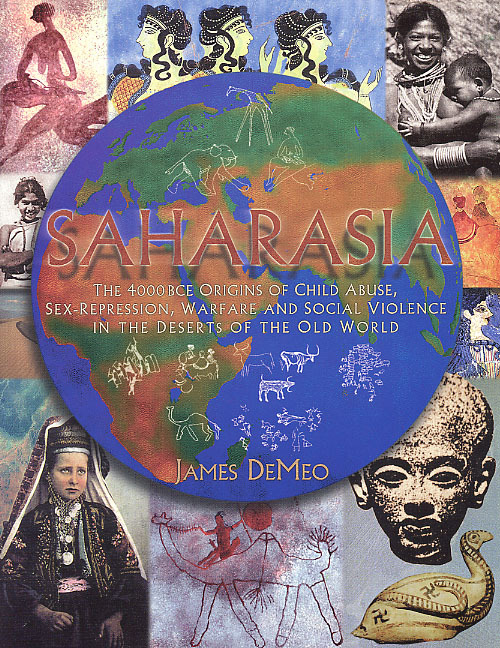 Severe "pellagraphobia" developed as the disease acquired a social stigma akin to that of leprosy, which left many victims and their families ostracized . Many hospitals refused admittance to, and some hospital staff refused to care for, patients with pellagra; the patients were often quarantined; and elementary schools tried to bar children whose family members had pellagra . The disease aroused a plethora of unsubstantiated etiologic suspicions that included the eating of moldy corn; inherited susceptibility; emancipation of the slaves; heavy exposure to sunlight (because the dermatitis was noted most often in the spring); and exposure to cottonseed oil (because the disease frequently occurred among sharecroppers) . If you spot some similarities to the modern situation, where medical authoritarians are barking furiously and issuing nightmare warnings of doom (like Al Gore preaching the "end of the world" from CO2), then congratulations, your eyes are open. Again, don’t get stampeded by all the hysterical claims about swine flu appearing in the newspapers and TV. There is no "epidemic" comparable to or even remotely approaching the big problems of the early 1900s, and most of the existing deaths cannot be separated out from the "medicines" typically used to treat people, already suffering from cold or flu symptoms. If you want to avoid cold and flu of all sorts, then up your intake of vitamin C, and other basic vitamins and immune-boost herbs, eat a whole-foods healthy diet (to include healthy animal protein), and remove yourself from toxic environments. Use the orgone accumulator or blanket as a preventative. Now, THAT is what the physicians and government should be recommending — but then, I am often accused of day-dreaming. And that brings up some interesting findings as noted by the epidemiologists in the 1970s, that you could take a cotton swab and gather mucous from the typical person suffering from severe cold or flu symptoms, and wipe that into the noses of volunteer subjects, to evaluate the "virulence" of the "cold-flu microbes". Those studies were all inconclusive, showing extremely low rates of infection, indicating there is something more going on in these cold-flu outbreaks than someone "spreading germs" — probably major weather changes towards cold-wet which influence the bioenergy levels, habits and diets of people, along with other immune responses which are linked to seasonal changes. Even the mainstream of medicine will accept that, the role of changing environmental influences which condition the "susceptibility to infection". But like most other really important science, those studies on "deliberate infection" were promptly forgotten, as the industry of vaccines, pills and anti-virals began literally "calling the shots", dominating as they do the universities and government agencies devoted to the public health. There’s plenty of evidence the current government is fabricating hysteria to push specific political-power agendas. They want more and more power into their hands, to control you like a herd-animal and demand you dance or sit or salute when they bark. They are "community organizing" the public health into a socialist-militia, demanding everyone obey when the whip is cracked. None of it will improve your health. Don’t obey, and don’t be fooled.